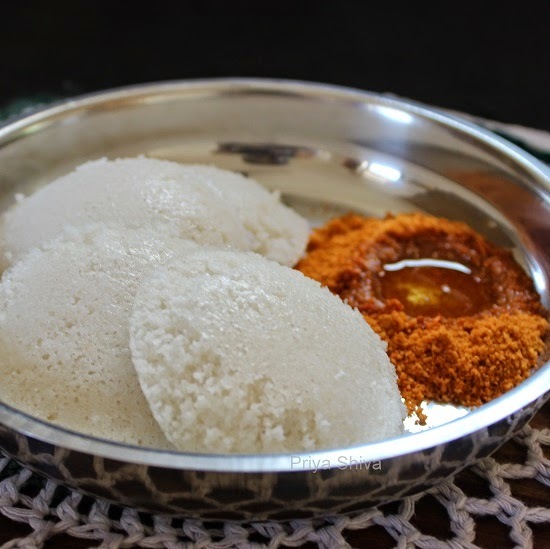 Idli is one of my favourite breakfast. Making spongy idli is no rocket science. 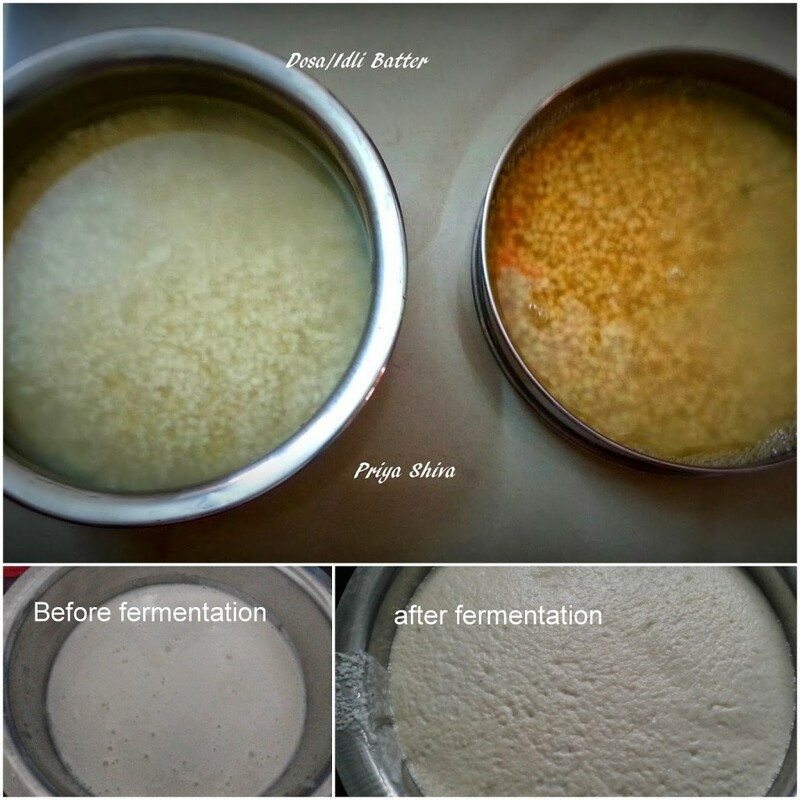 If you get the batter in right consistency and let it ferment nicely, you can have the perfect idlis at home in no time. 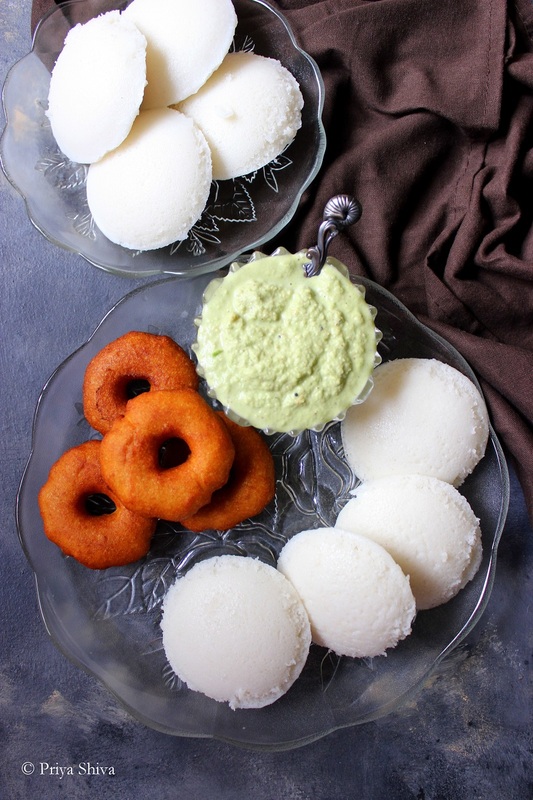 So, sharing a step-wise recipe to make some soft spongy idlis. Soak rice and lentil, grind and let it ferment.. Serve with chutney and sambar..
Clean and soak the rice and urad dal along with fenugreek seeds in some water in separate bowls for 4-5 hours. Now grind the urad dal with fenugreek seeds in your food processor with enough water to make a smooth batter. Next grind the rice with water. Transfer the content in a pan and add some salt to taste and mix it well. If you feel the batter is too thick add some more water and keep it outside overnight or for 6 hours for fermentation. Do not make the batter too thin. It should be of flowing consistency , not runny. 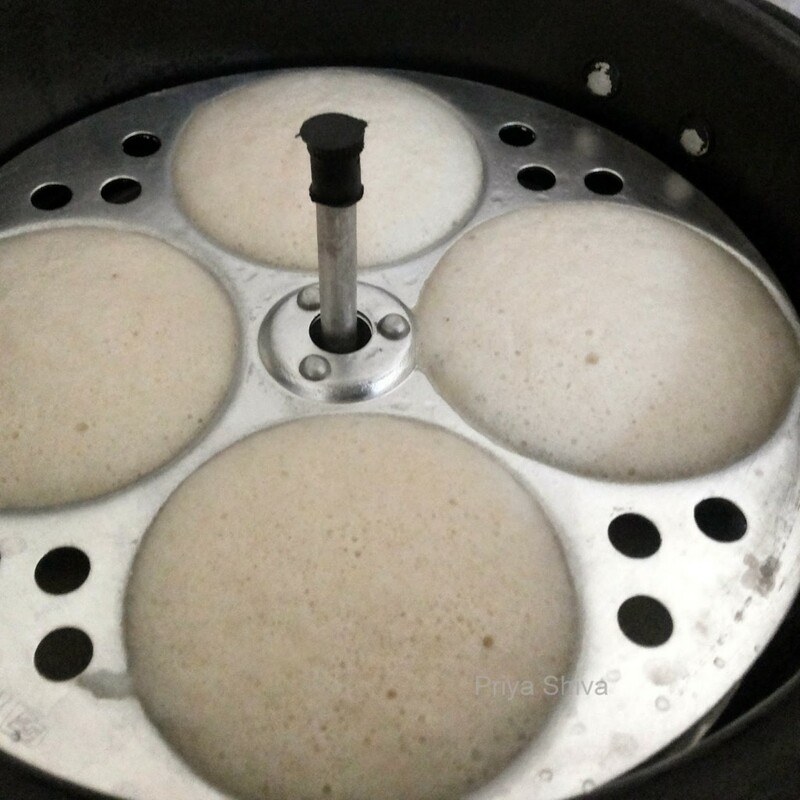 Once the batter rises and it has fermented, you can use it to make Idli or Dosa. Priya, this is what I was waiting for!! I have a love affair with dosas. Thank you for sharing! Thank you for the recipe. It looks delicious.If you have any other vegetarian recipes please send to my email. My friend brings idli that is steamed without using oil and instead of urad lentils, skinned urad lentils is used. The idly, slightly grainy (maybe some semolina as well in batter or ingredients coarsely grounded) melts in mouth. You have recipe of such batter and making idli without using oil? 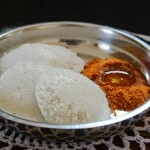 You can make the same idli using this recipe and add 1/2 cup of semolina too in it.